Make your holidays extra special this year with a private yacht charter in San Diego’s incredible waterways. Gather your friends and family for a memorable day at sea aboard a luxury yacht and celebrate the holiday season in style. There are many options available to create your own customized event and make a boating adventure that both you and your guests will remember for a lifetime! Take your Thanksgiving dinner to new levels and dine on turkey, mashed potatoes, stuffing and other holiday treats while cruising the waters of San Diego on your own personal yacht charter. Either bring your own feast aboard or a caterer can be arranged to provide the meal. Either way, this unique setting will ensure that this will be a Thanksgiving that your loved ones will never forget! 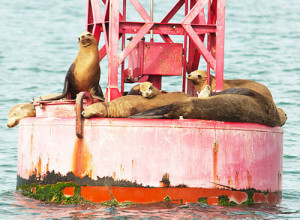 What could make the Christmas season more jolly than a day exploring San Diego’s beautiful waters? Imagine throwing your holiday party aboard a private yacht charter with the stunning San Diego skyline as a vibrant backdrop. Whether it be a gathering of family and friends or a work holiday party, a boat charter is a unique way to celebrate the holidays and is sure to be remembered for years to come. Share your ideas on how to make your Christmas, Hanukkah or other holiday occasion even more special and we can work with you to make your dreams a reality. A yacht charter is the perfect way to celebrate the new year! Say good-bye to 2014 and kick off a brand new year surrounded by friends and family aboard a customized yacht rental. Sipping champagne and dancing the night away while floating through San Diego’s amazing waterways will make for a night to remember! Whichever holiday you chose to spend with San Diego Boat Tours, you’ll be sure to have an incredible experience aboard our luxury yacht rentals. Since you’re chartering the entire yacht, you can customize practically every aspect, from the sights that you would like to see to the food and drink options available during your cruise. We can even arrange special decorations, music and services, such as videographers and photographers to capture all the special memories of your festive extravaganza. 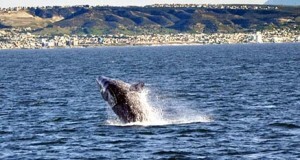 Choose whether your uniformed captain sails through the San Diego harbor to showcase the city lights or takes your yacht tour into the open waters in hope of spotting some gray whales during their winter migration. In addition to the captain, you’ll also have a personal host to make sure that all your needs are met during your holiday voyage. There are a variety of sizes of yacht charters available to serve the needs of your specific group. From an intimate cruise for two to a yacht large enough to hold up to 100 of your closest friends, there are plenty of choices. San Diego yacht rentals are also great for weddings, engagements and other special life events. Be sure to book your festive San Diego yacht tour early as popular holidays and weekends tend to fill up quickly as the busy season approaches. Don’t miss your opportunity to spend the holidays surrounded by family and friends aboard a luxury yacht rental in the gorgeous waters of San Diego.